Speeding Star: Their classmates are acting a little...undead! Their classmates are acting a little...undead! Leo and Chad can't help noticing some of their classmates are acting a little . . . undead. 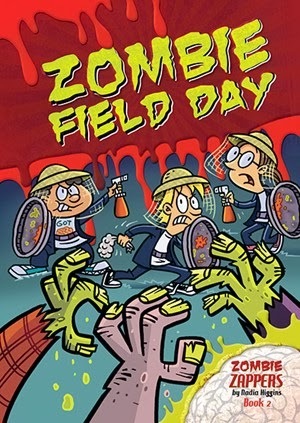 In Zombie Field Day The Zombie Zappers are determined to find out why. They're the only ones who might be able to save their fellow students. Book 2 in the new fiction series written by Nadia Higgins from the Speeding Star imprint. Keep Boys Reading!